On our second trip to Europe, we were excited to spend some time in some countries we had not yet visited. Most of our trip was spent on a guided bus tour through many different European countries, however we did spend a few days at either end of our tour exploring London and surrounds. One such day trip from London included a visit to the mysterious structure of Stonehenge. Stonehenge is one of those modern day mysteries, with no one certain of how the stone structures came to be. It is believed by many that the structures were completed in three phases, estimated at 3100 BC onwards, and that they would have taken around 30 million hours in labour – WHAT?? That’s a crazy amount of time. The structures are in a circular formation, which have added to its mystery and purpose with theories ranging anything from an area of worship, to human sacrifice, to astronomy purposes. Of course, just like the pyramids of Egypt, the alien theory pops up from time to time also. No one knows for sure what it was constructed for, however it is now one of the world’s most historic monuments and a popular tourist attraction. Before our visit I was not overly excited by the idea of seeing Stonehenge, however it was one of those tick off the travel to do list sort of attractions. I’m glad we did. I was impressed with the size of the structure compared to my expectation. Photographs do not do it justice and the mystery adds to the appeal. We felt dwarfed standing next to these huge rocks and it is pretty incredible that they stand so firmly throughout so many centuries, without falling. You almost don’t want to get too close as some of them don’t look that stable, but apparently they are as they have stood the test of time and don’t budge in the icy English winds. Although I suggest you take a jacket because we visited in summer and while I know summer in England is not like summer in Australia, the flat landscape added to the wind chill factor on the day we visited. The wind was cutting right through and OMG it was freezing! While there is not a lot to see in the surrounding area, for history’s sake, it is worth a quick stop just to marvel at the size and the very fact it was constructed at a time when there was no modern technology to assist them. Should I repeat – 30 million hours of labour. Impressive! 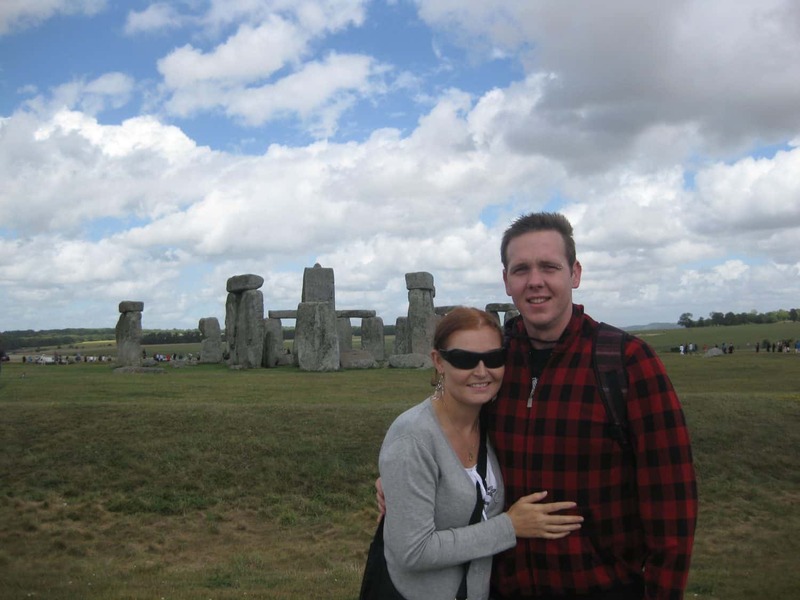 We took a one day Stonehenge day trip from London. Our Stonehenge tour bus also included stops at Windsor Castle and the Roman Baths in Bath, which made for a very full day of sight-seeing by coach as part of a guided day tour. Our Stonehenge stop was the first of our 3 main stops on the bus tour. The distance of London to Stonehenge is around 102 miles. This takes around 1 hour and 36 minutes to reach Stonehenge from London, depending on traffic. 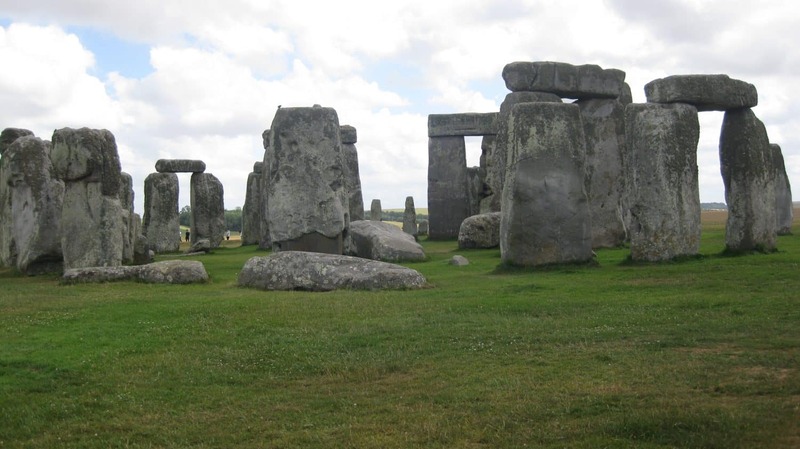 The tour included our Stonehenge entrance free, as well as entry for the Roman Baths and Windsor Castle, and was mostly free time to explore at each stop with the option to join in guided tours. You can find up to date information about Stonehenge on their website. This is also the easiest way to get Stonehenge tickets before the day. There is a small cafe and souvenir shop on the site that is open during business hours, if you wish to grab a snack or a drink during your visit. The best time to visit Stonehenge would be during the fine weather, and preferably when there was minimal wind as there is no shelter in the flat field where the structures stand. It would be freezing in winter, but on a fine day it would be just as good to view. 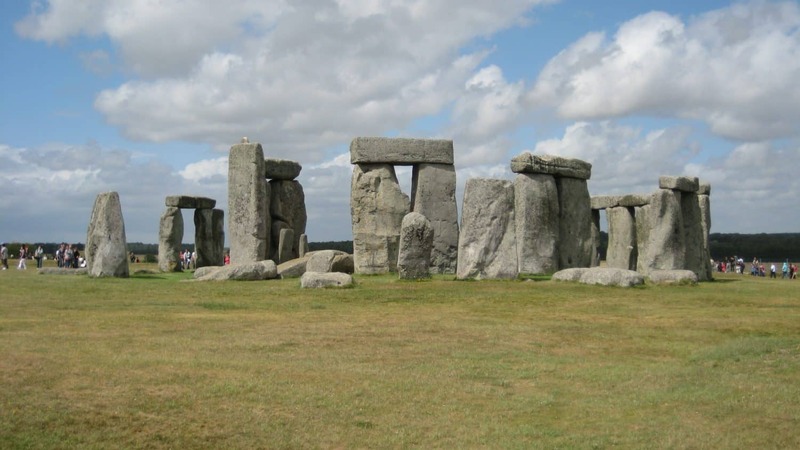 Stonehenge is located in Amesbury in Salisbury, which is just over an hour and a half by car or bus. The easiest way to visit is by hiring a car or by booking a bus tour. 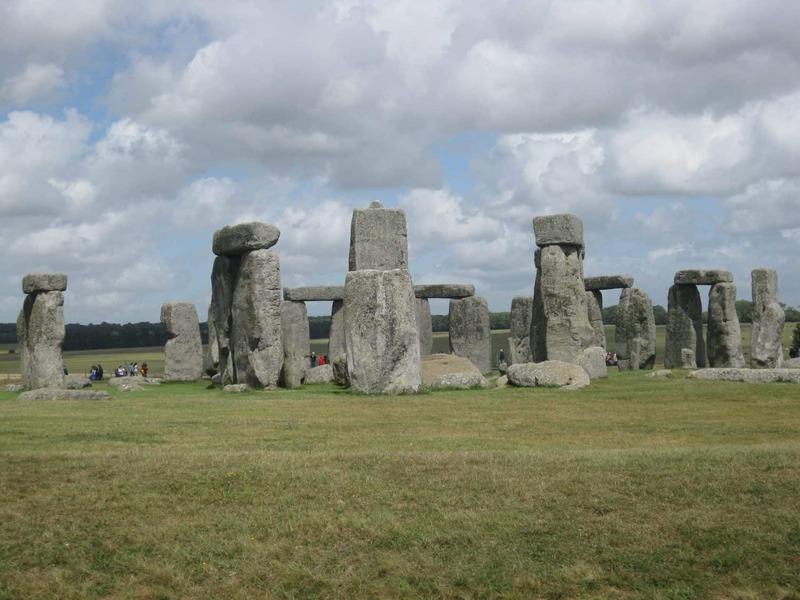 There are lots of different Stonehenge day trips and longer tours available for visiting Stonehenge from London or other cities nearby. There is an entry fee to visit Stonehenge – from £10.50 for children or £17.50 for adults. These prices are current as of October 2018 for pre-purchase online. It is slightly higher for entry if you purchase at the gate on the day of arrival, with an extra 10% added onto the cost. Stonehenge opening hours are different during the year, therefore it is best to refer to the website for details on opening times before visiting Stonehenge. 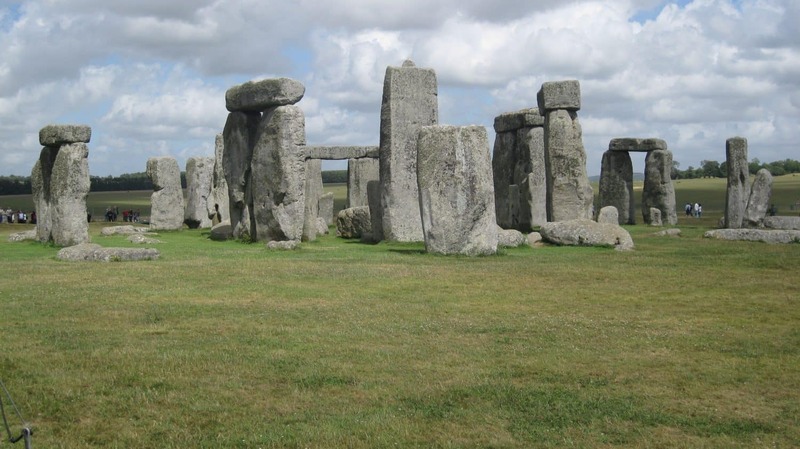 Why do you think Stonehenge was constructed? Share your favourite theory below. Like you, I have never been that interested in visiting the Stonehenge. But, I would visit as a stop on a day trip. Do you find it crowded? I can see people in your pictures. It wasn’t very crowded the day we went. There will probably always be a fair few people there but the structures are massive so you don’t feel crowded while there. It looks like it was a cold day. I like the new theory of how the stone was transported on rails using ball bearings to do it. Great shots, its nice to see some angles of the henge that are not normally portrayed. That theory sounds good. It was chilly because it’s so flat in the area and no wind protection… Yet it was nearing the end of Summer. I’ve always tried to think of silly reasons that Stonehenge was made, but whatever I came up with, it’s just an awesome place. It’s highly possible all the logical theories are wrong. Would be great to know the true story. How fascinating! I can’t even imagine 30 million hours of work. Holy crow! I just – it is mind-boggling. Thank you so much for joining us for Photo Friday! I love the new site! We found Stonehenge fascinating – and you’re right, it’s absolutely FREEZING on the Salisbury Plain! We visited in May and brrrrrr it was cold!